Red River Regular Pipe Tobacco is a balanced and full-bodied tobacco with strong, traditional flavors. 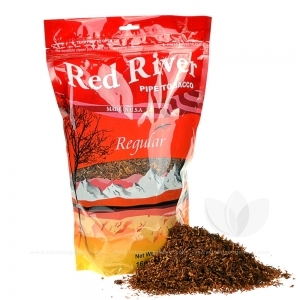 Red River features a more traditional and rough tobacco taste, that you would find with more bargain oriented blends. 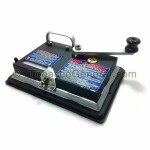 The full line is aimed more towards experienced smokers that can handle a harsher kick and aftertaste. Every so often, I notice that the distinct taste of "field weeds" will creep into my smoking experience. What's the deal with that? Simply an oversight in the Q.C. Dept.? Otherwise, I have found your product to be acceptable and reasonably priced. I truly love this tobacco "when" I can get it really fresh. I've never tried purchasing online, but I'm about to give up buying any tobacco locally as the availability is very limited where I reside and even when I buy from local stores that have had the product delivered within a day or two before I make my purchase, I'm still getting really dry tobacco with a lot of stems. Ive found that Red River is my favorite tobacco as far as taste. theres no comparison for the price that you pay. There are times that it will be beautifully fresh with few stems but it's so hit and miss that I am tired of wasting my money, plus, you can't buy it locally for less than $16.99 per pound either. I've calculated that I'll save approximately $30 by purchasing 3 of the 16 oz packs and the tubes in the 5 carton sets (2 of these) including shipping. I'm currently paying $30 for one 16 oz pack and three cartons of tubes (king size). Of course I'm rolling my own cigs and if you're still paying $40 to $50 per carton for commercial brand cigarettes, you're nuts in my book. I'm paying no more than $1.20 per pack and that's before I'm switching to online ordering. 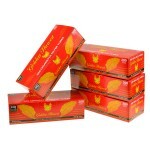 I'll be paying .88 cents per pack if all goes well with my order thru this site. If anyone can give me feedback on the quality of their tobacco and the speed of delivery, it would be much appreciated. Some people don't care to take the time to roll their own but until Uncle Sam starts taxing the hell out of it, it's the only way I can afford to smoke anymore. This is a very smooth tobacco. This pipe tobacco tastes nothing like "pipe" tobacco. It tastes like regular tobacco. I love it!